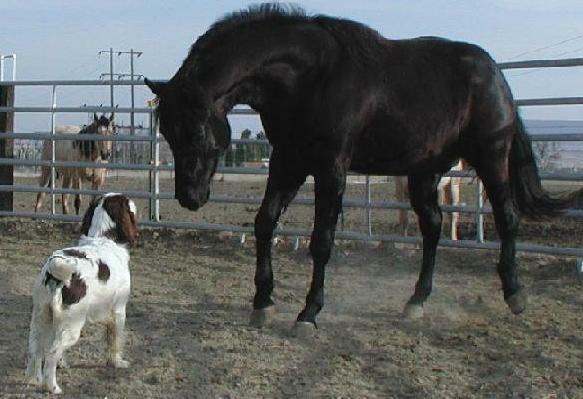 Due to an unfortunate accident Ace was injured and sadly could not be saved. 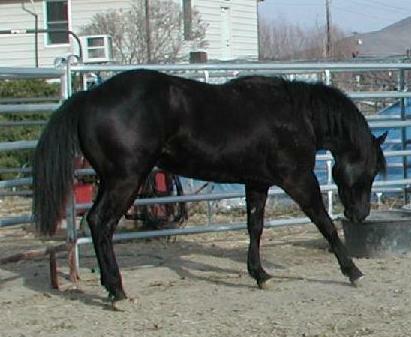 He was a beautiful black stallion that will be missed by all that knew him. 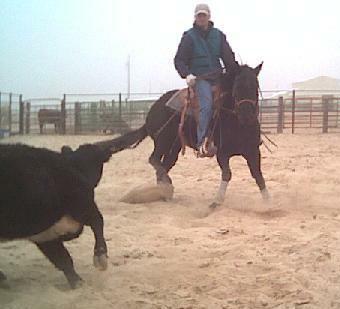 Although Ace didn't get a chance to show his ability in the show ring, he was very cowy and extremely smart. 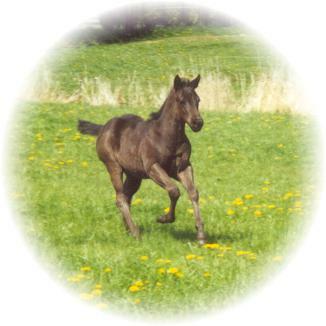 We fortunately bred Ace to several of our mares, his foals were beautiful, they were a grulla filly, a bay filly, and a light dun colt (which we will be standing). 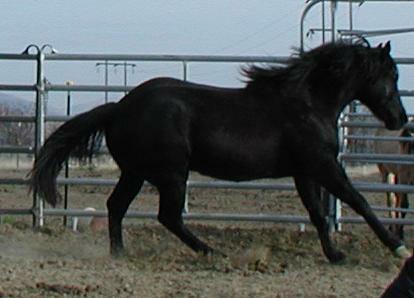 At least we will have some of his offspring to carry on this outstanding stallion's disposition and bloodline. and morn for when he's dead. He'll wait for you, Inside Heaven's Gate.